Reading Service of the Redwoods will continue to operate for residents of Humboldt, Mendocino and Del Norte counties who have low vision when it joins Society for the Blind’s Access News telephone reading service in Sacramento. Beginning January 1, 2017, Society for the Blind will operate the service for residents of those counties who are blind, have low vision or are unable to read print materials due to illness or disabilities. Sikkens, Doug Rose and a team of volunteers created Reading Service of the Redwoods in 1998, and the program reaches 200 people. 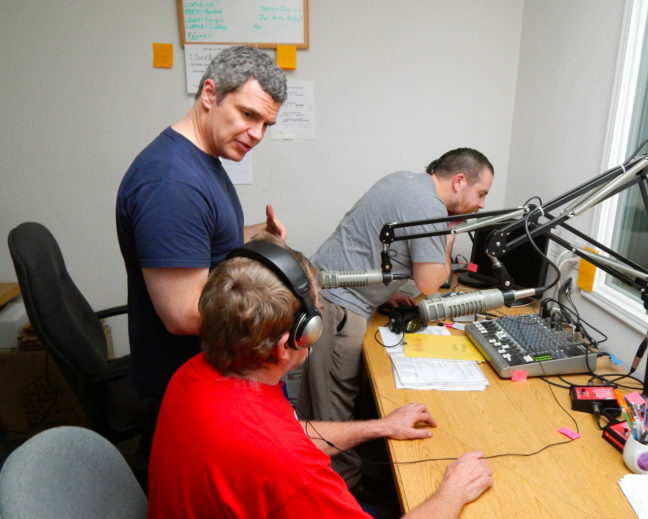 Funded in part through a grant from the California State Braille and Talking Book Library, Society for the Blind’s Access News Program has been serving people with vision loss and other reading challenges for 20 years. Access News reaches 2,000 listeners each year. Volunteers in Humboldt, Mendocino and Del Norte counties will continue to record newspapers and local publications, but listeners also will be able to hear more regional and national publications as part of Access News. For more than 60 years, Society for the Blind has created innovative ways to empower individuals living with low vision or blindness to discover, develop and achieve their full potential. Society for the Blind has grown from a dedicated group of volunteers that included the Lions Clubs of America to a nationally recognized agency and the only comprehensive rehabilitative teaching center that provides services for a 26-county region of northern California. The nonprofit provides low-vision eye care, life and job skills training, mentorship, and access to tools to maintain independence for 6,000 youth, adults and seniors experiencing vision loss each year. For more information or to make a donation, visit www.SocietyfortheBlind.org.